New Hampshire is taking steps toward reforming certain aspects of its criminal justice system. Victims’ rights advocates are spearheading these efforts, although the changes stand to have an equal and opposite effect on the accused/convicted. 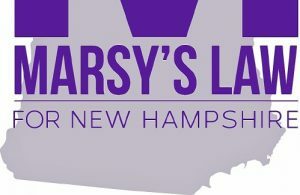 According to the Concord Monitor,”New Hampshire is one of 15 states that does not extend enumerated rights to victims of crime.” There is an implication that lawmakers were more concerned with putting provisions in place to protect criminal defendants, while failing to provide alleged crime victims with ‘parallel’ rights, if you will. As the movement gains traction, the chief concern of criminal defense advocates is that the new victim-serving provisions do not in turn infringe on the rights of criminal defendants. It is true that a hearing cannot legally proceed unless the criminal defendant is told he or she has the right to an attorney and is provided with the date, time and location of the hearing. Every person charged with a crime has tools at his or her disposal to defend against the charges; such is the right when freedom is put in jeopardy. By contrast, there is no guarantee that a victim will receive basic notifications relating to the hearing, because such notifications are not judicially enforced. If there is an imbalance in victim and defendant rights, it should be addressed – but never at the expense of the defendant’s rights. It is all too easy for lawmakers, under the pressure of advocacy groups, to “tip the scale” too far in favor of the side currently expressing grievances. This would only create a new imbalance, potentially adversely affecting defendants. What Will Change In New Hampshire if Marsy’s Law is Enacted? At present, people convicted of (certain) crimes can be released from prison without notifying the alleged victim in the case. Victim’s rights advocates want to alter the criminal justice system so that it must systematically notify a victim when a convicted criminal is released. The problem some say, however, is more about (1) the necessity of such a program; and (2) the resources to effectively operate the program. What crimes will be included and how much will this cost? Will resources be diverted from alleged criminals who need to defend themselves against a system already biased toward them? As criminal defense attorneys, we understand that the roles of ‘victim’ and ‘criminal’ can be more complex than they appear. A traditional “good guy/bad guy” dichotomy ignores the nuances of a criminal case and presumes the worst of the accused. The alleged criminal is not always guilty; the victim is not always faultless and genuine. Wrongful or inflated allegations are certainly not unheard of. Law enforcement does not always properly see to the rights of the accused. It is the job of criminal defense attorneys to ensure that the court meticulously adheres to the law where the defendant’s rights are concerned. If the victim and the accused are not being treated equally under the law, then by all means revisions should follow the recognition of this shortcoming – so long as the pursuit of victims’ rights does not begin to infringe on the rights of the accused. As NH criminal defense attorneys, we follow developments in state law as they relate to our clients, remaining attentive to their rights and drawing attention to unfair provisions, if needed. If developments in victims’ rights throw the equality of the victim and the accused off balance, then advocates in the field of criminal defense are prepared to act on behalf of all New Hampshire criminal defendants to restore that balance. At Tenn And Tenn, P.A., we are prepared to aggressively defend the rights of any New Hampshire citizen who has been charged with a crime. For a free consultation of your case, call 1-888-511-1010 or contact us online.